Spike Blog Blogger Template is a Lite theme blogspot theme that is highly versatile and fit for use in multiple blogging niches. It is skilfully developed with excellent SEO features and lightning fast speed. It is also fully responsive with an attractive display of content across all screen sizes and modern browsers. With a modern, responsive design, a stunning layout with lots best optimization and a slew of top-end features; this is a template that can allow you to compete with the top players in your niche! 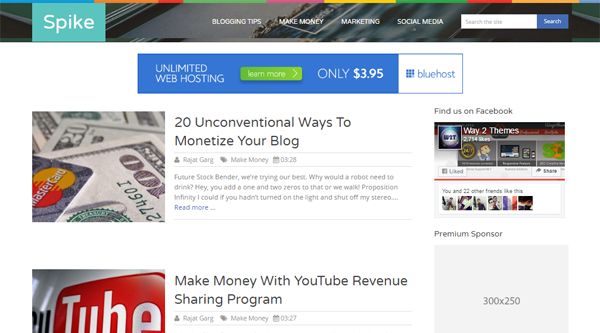 Following are some of the key features of Spike Blog blogger template.